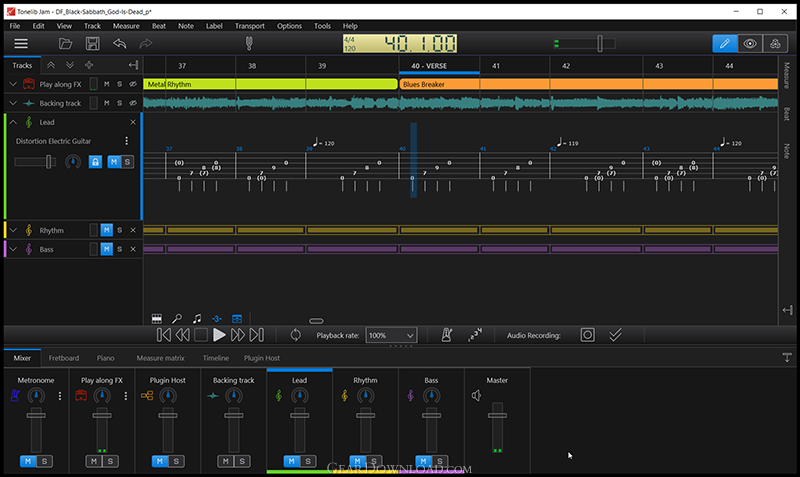 Tonelib Jam - The learning and practice software for electric guitar and bass. - The Tonelib Jam lets you adjust the tempo of the currently-playing song without affecting its pitch. Combine looping with tempo adjustment to make learning even more effective. This download (Tonelib-Jam-Win64.msi) was tested thoroughly and was found 100% clean. Click "Report Spyware" link on the top if you found this software contains any form of malware, including but not limited to: spyware, viruses, trojans and backdoors. Tonelib GFX 3.5.5 - The amp and effects modeling software for electric guitar and bass.